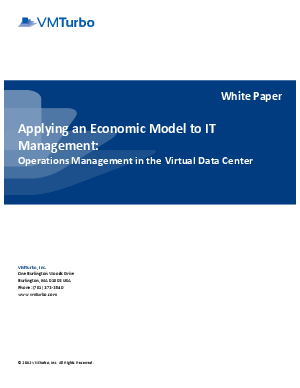 This white paper describes VMTurbo’s supply chain economy approach, which uniquely addresses these requirements. VMTurbo combines monitoring, analytics and actions to enable proactive virtualization management. VMTurbo’s Observe-­-Advise-­-Automate model delivers intelligent and holistic visibility, analytics and automation.